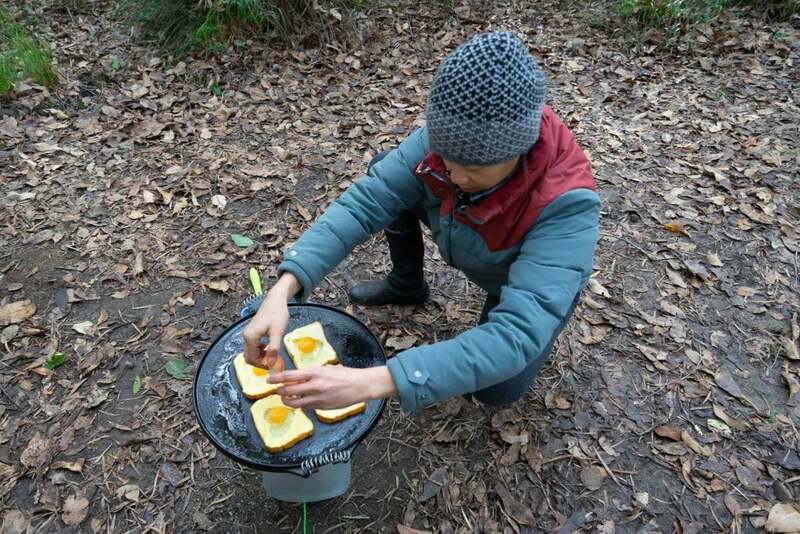 Cooking over fire can be addictive. 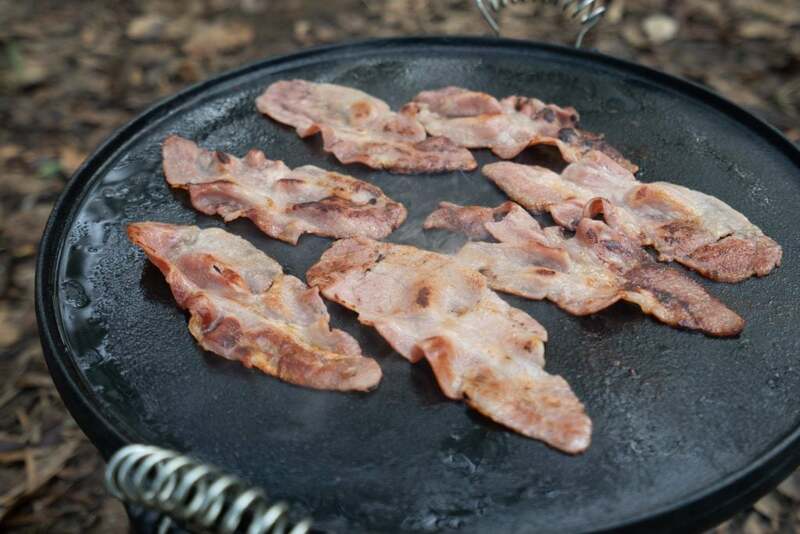 Camp oven roasts and spits are incredible, but sometimes a quick breakfast cookup, BBQ lunch or fast dinner are the order of the day. 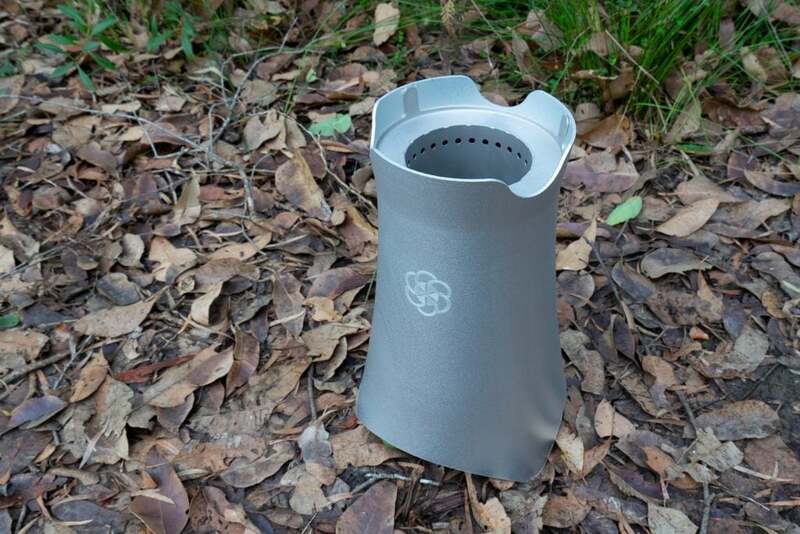 The Enki Stove WILD + is a biomass powered cooking stove. 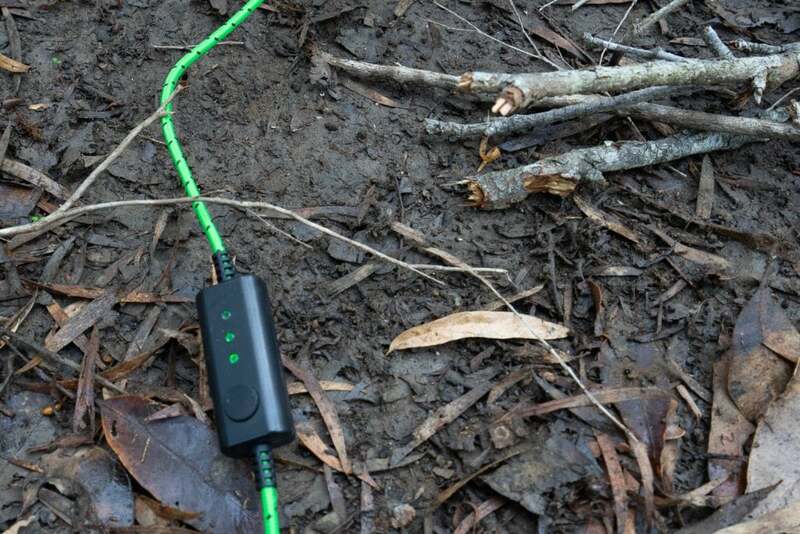 It will run on commercial available pellets, but just easily, it runs on sticks. 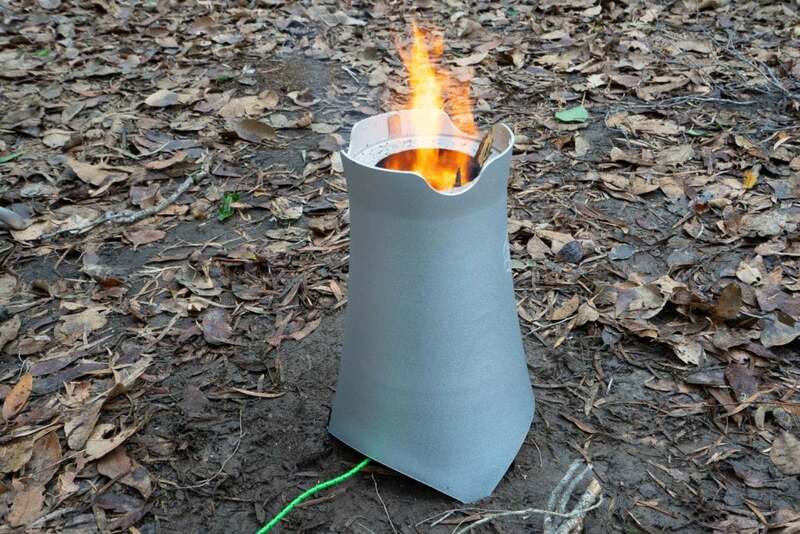 The base mounted fan creates is the key to the Enki’s smokeless, and extremely fuel efficient burn. It has three settings. 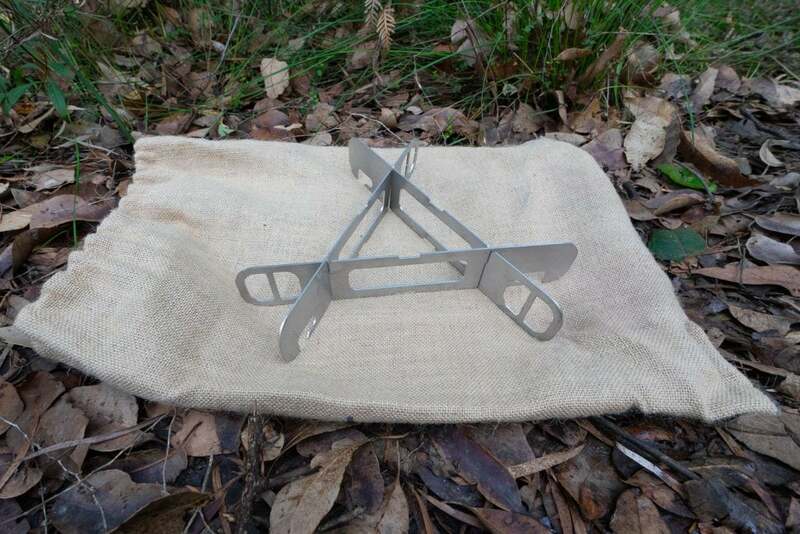 The first is good for lighting the fire. The remaining fan speeds, used in combination with fuel load, give good temperature control. We started with smaller sticks and then added some larger which extended the cooking time nicely. The fan is powered by the Enki Lithium Battery Pack, which when new is rated for 50 hours of usage. 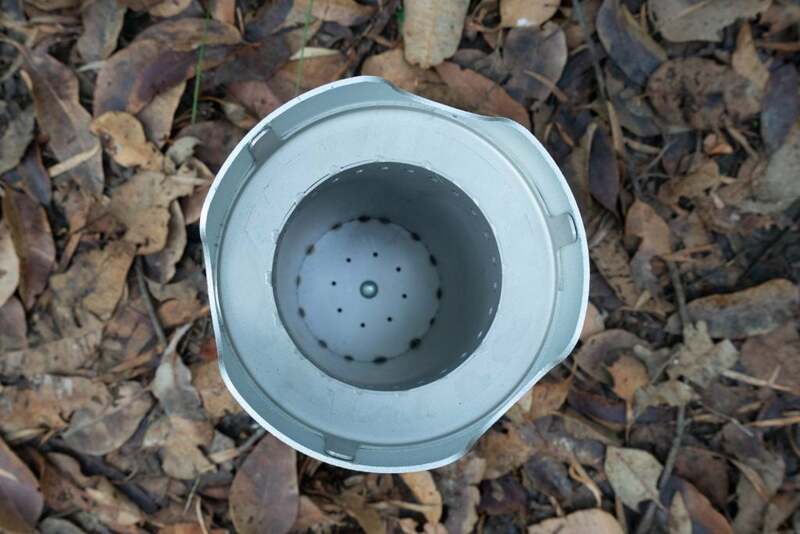 The fan forced air is pushed upwards through the holes in the base, and at the top of the Enki Stove. We used a fire lighter and some dry sticks to get it going, and almost instantly the stove was roaring, and with no smoke. 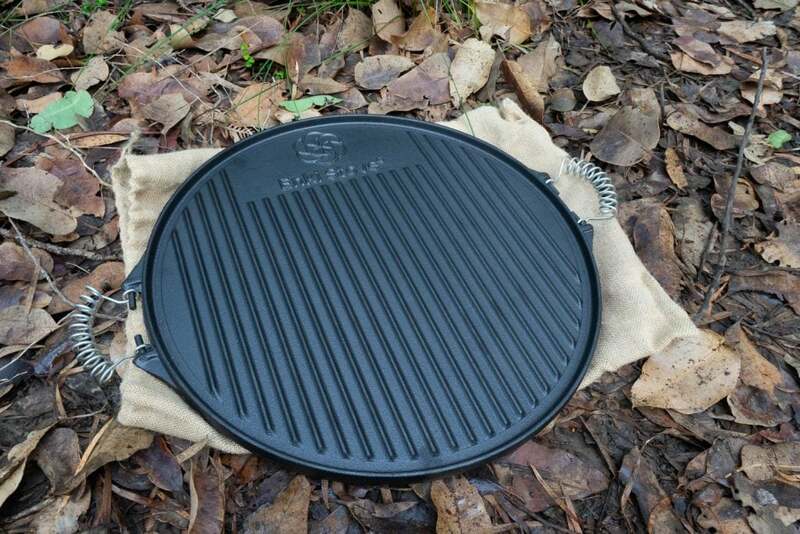 The optional Enki Cast Iron Grill can be used as a grill, or flipped over and used as a flat plate for eggs and pancakes.The pot holder stows flat, and holds large grills, woks and pots steady. The flat side is also perfect for Brioche French Toast with Bacon as Gen whipped up this morning. It was so good! After finishing breakfast the fuel load had burnt down, the fire was out, and everything was cool. All that was left behind was about a quarter of a cup of fine ash, which was easy to discretely dispose of – no signs left behind of this feast! 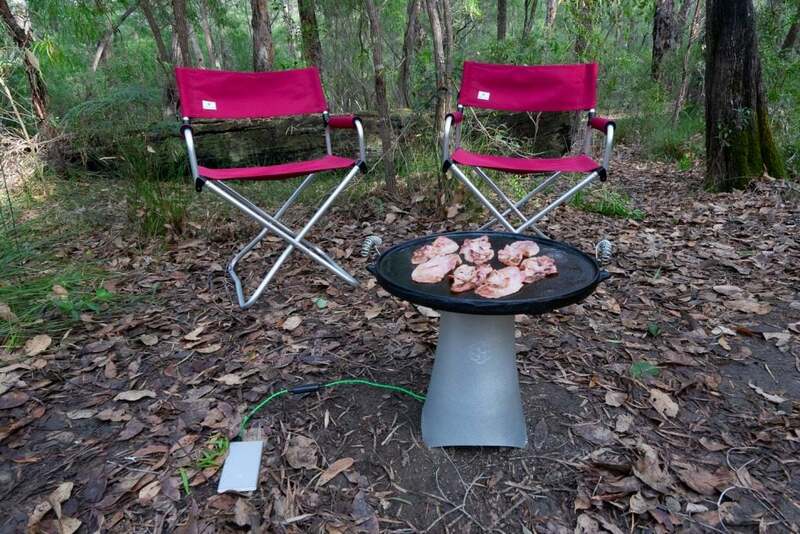 The Enki Stove WILD + weighs 2.7 kg and measures 35.5cm x 23cm. 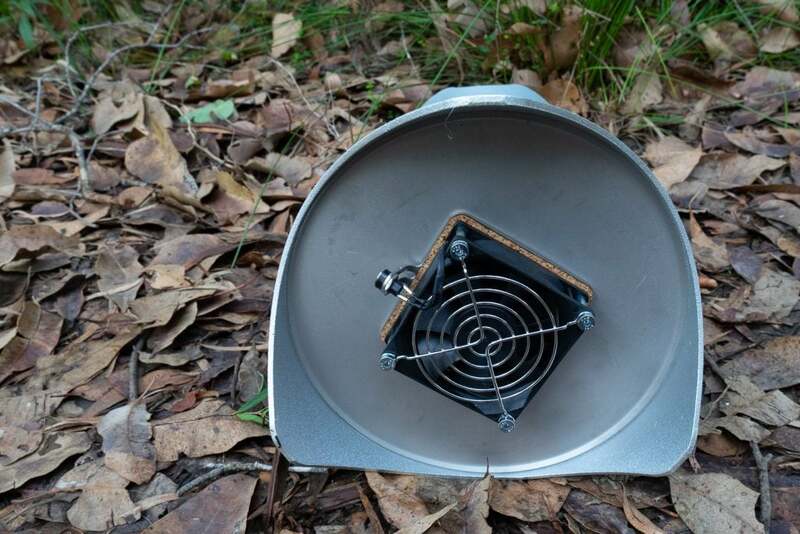 Enki also make the smaller WILD which weighs 1.3kg and measures 21.5cm x 15cm. 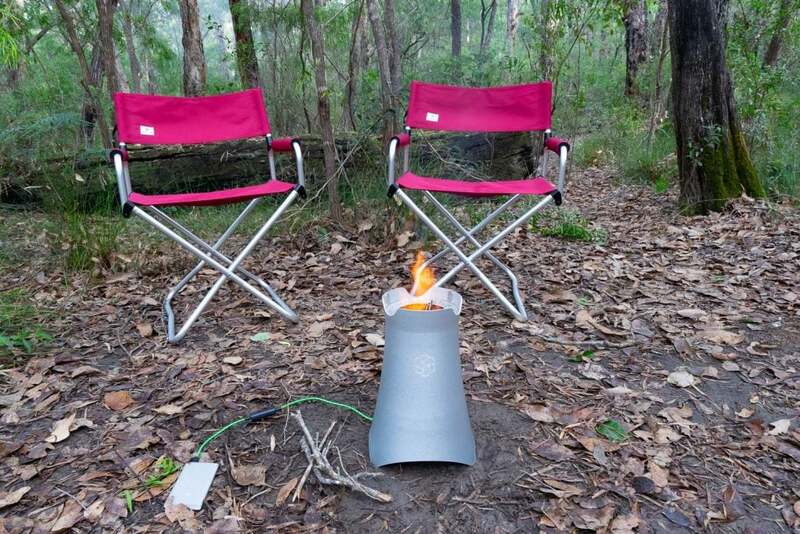 The outer body of the the Enki Stove is built from 1,000 series aluminium. The internals are built from marine grade AINSI 316 stainless steel. They’re built to withstand intense heat, and a lifetime of use. The power bank can be charged effortlessly, like any USB device. 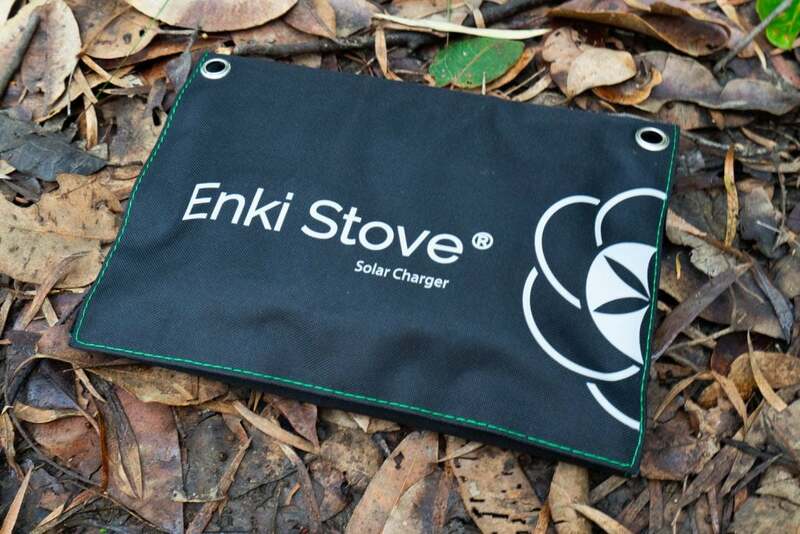 One option is the Enki Stove Solar Charger. 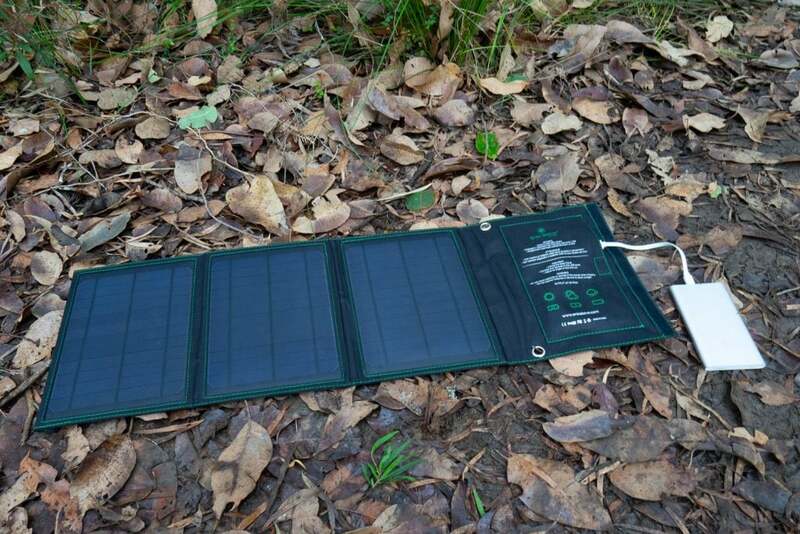 This solar blanket also includes a pocket which is designed to keep the battery pack and cords together. 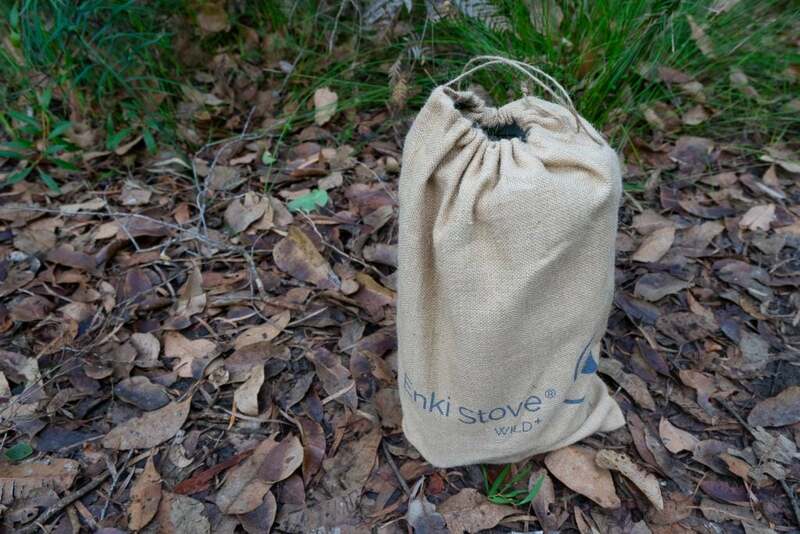 If you enjoy cooking with fire and love to explore new ways to do so, the Enki Stove may just be for you!